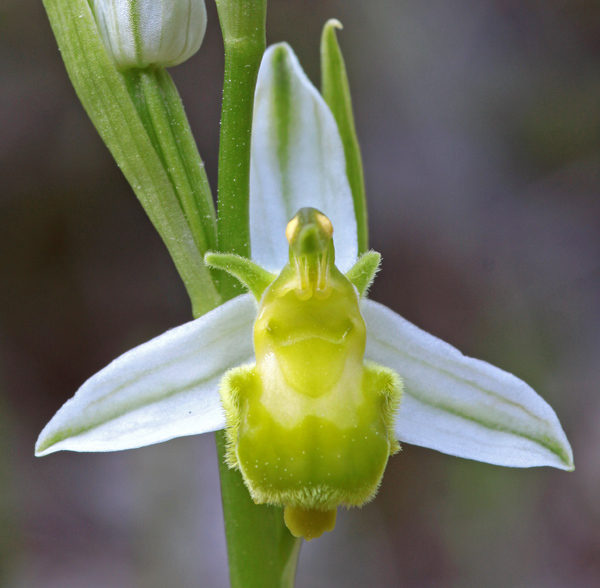 Ophrys apifera is a slender plant, which can grow to a height of 40 cm. The autogamous plant develops small rosettes of leaves in autumn. They slowly continue to grow during winter. The vigorous stem has 3 to 7 flowers with spreading sepals and very small petals. 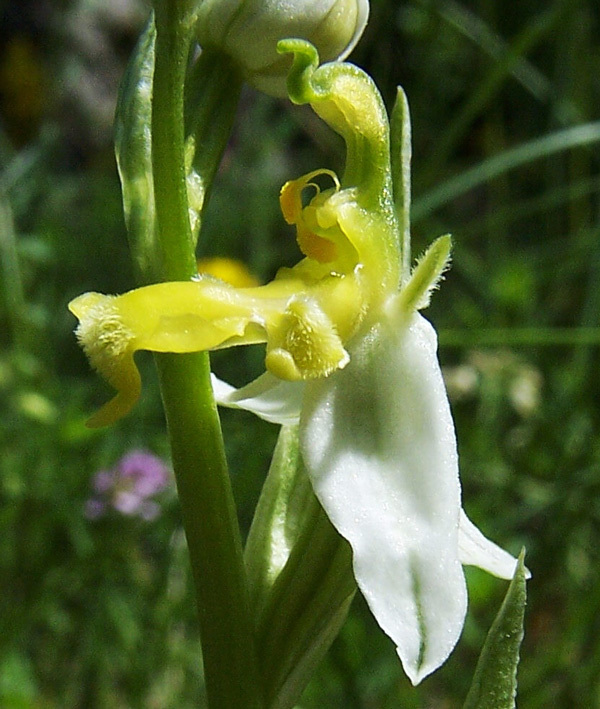 The labellum is deeply three-lobed with big protuberances. The middle lobe has a large appendage. The plant was first described by Wilhelm Hudson in Flora Anglica (1762). The relatively large sepals of Ophrys apifera can be white, pink or deep reddish. The base of the middle lobe is usually chestnut-brown, the rest of the lobe is of dark brown color with a distinctive yellowish or white marking. 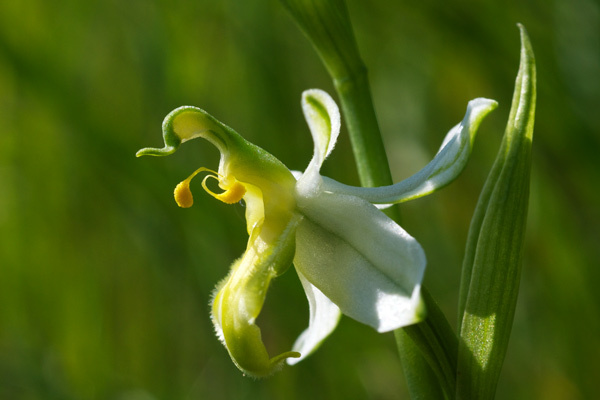 Pierre Delforge (Guide des orchidées d’Europe) sees a relationship between the autogamy of Ophrys apifera and the development of plants with reduced color pigments adding that “these variants have no evolotionary value at all”. 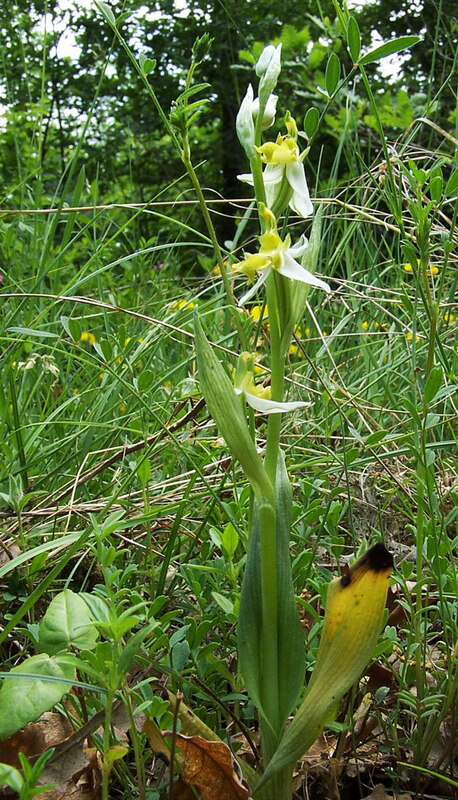 A stable population of a hyochrome Ophrys apifera can be found near Basel. 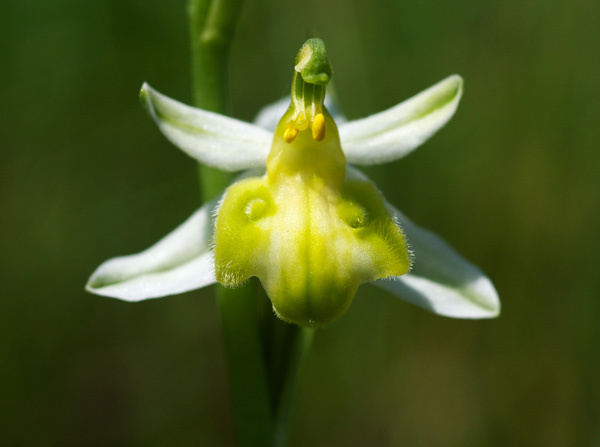 This plant described as Ophrys apifera var. basiliensis (Schwegler/Matthies, 2004) is also special, because it has sepaloid petals – as it is shown here with the two photos below. Ophrys apifera can be found on dry grassland or in light woods. Bloom is from March to July, depending on the region. The species can be found in Southern and Middle Europe, but also in Wales or Southern England.